The Classic Bedding Bundle is designed to make bed time much simpler. This three-piece bedding set has everything you need to ensure that both you and your baby have a cosy and peaceful night’s sleep. The Three-Piece Cot or Cot Bed Bedding Set comprises a quilt, bumper and fitted sheet, all coordinating to make the bedding look as good as it feels. This bundle is great as a gift to brighten up any baby/child’s room. With beautiful designs, there is a style for everyone. 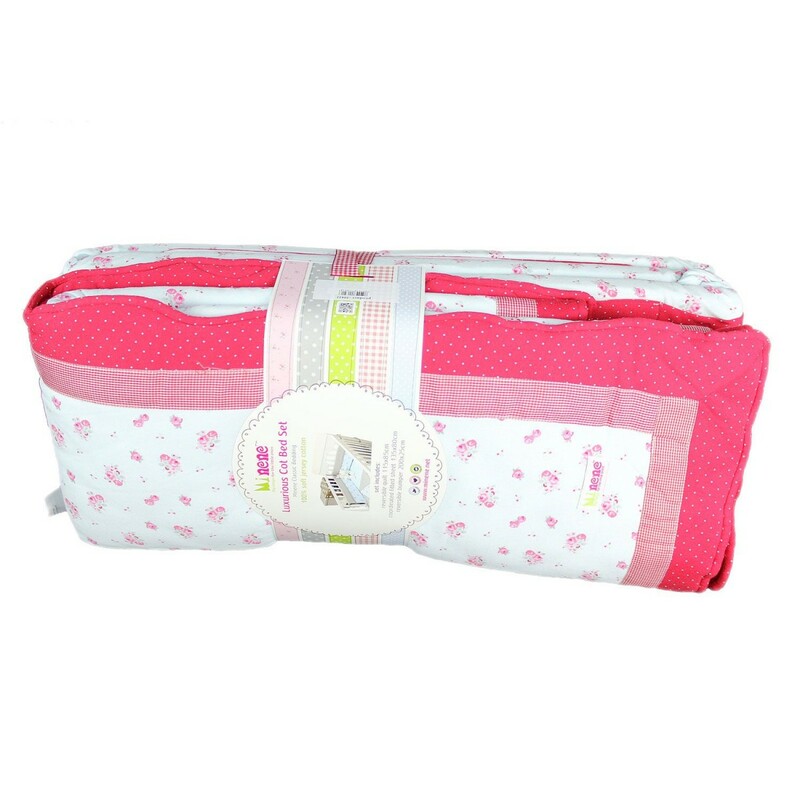 the sets include a reversible bumper,reversible blanket and fitted sheet. Material :100% cotton. Filling: 100% polyester.